This is a guest post by Colleen Green, Senior Financial Sector Specialist at DAI and avid swimmer. Blockchain technology has been in the news a lot this summer, and like the child standing at the edge of a swimming pool, the news is equal parts enthusiastic, cautious, and speculative about what lurks beneath. 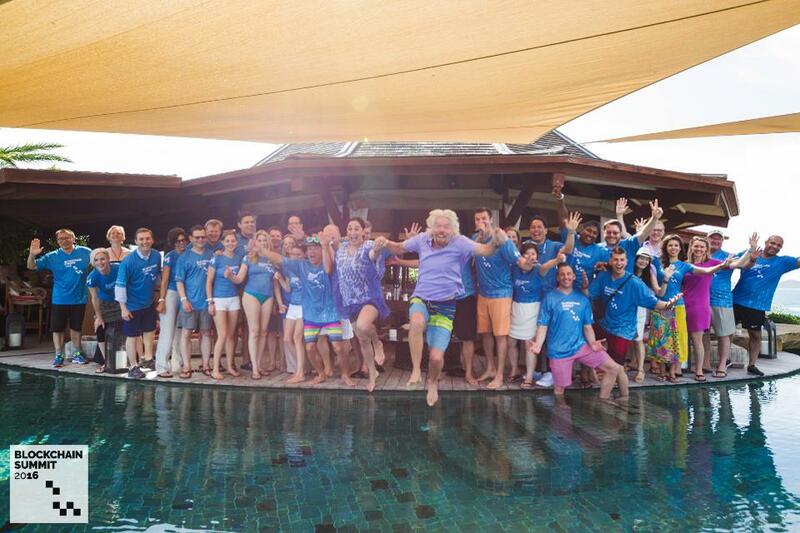 First, on the enthusiasm end, over a weekend in late July Sir Richard Branson, founder of the Virgin Group, gathered the Blockchain talking heads, including senior experts from the United Nations and World Bank, at his luxury Necker Island estate and launched the World Identity Network (WIN). WIN will utilize Blockchain technologies to create a universal digital identification system aimed to benefit the world’s nearly 2 billion poor people living without formal ID. Devex covered this story which focused more on the developmental gains that could be made using the technology for land titling, business finance, e-governance and of course, digital identity. Similarly, but with more of a cautionary spin, the Center for Global Development (CGD) released a study on Blockchain and Economic Development: Hype versus Reality? The study focused on four use cases aimed at addressing long-standing economic development challenges: international payments, identity, land registration, and disbursement of foreign aid. CGD’s report is more a synthesis of newer donor- and government-funded initiatives and some of the key questions and gaps they are trying to address. On the ICO side, U.S. startups have raised more than $1.5 billion in funding by creating and selling new custom-made cryptocurrencies and with little regulatory oversight. In late July the U.S. Securities and Exchange Commission issued a warning that ICOs should be treated like other types of securities. Singapore’s central bank followed suit, announcing that it was also scrutinizing coin offerings and cited concerns that these new ICOs were vulnerable to increased risks of money laundering and terrorism financing. This has not yet dampened the market excitement, but the life guards are now paying attention. The Water Is Warm, But Is It Safe To Get In? In both the development space and the market place, there are mixed feeling of “let’s wait and see” skepticism with equal amounts of splashing enthusiasm demonstrated by investors, regulators/governments, and other hangers-on. At the moment, Blockchain’s largest impact is in the financial sector, where banks, insurance companies, and a host of financial startups are innovating around currency, cross border payments, insurance, lending, deposits, and derivatives in products where revenue streams are more quickly realized. These companies are building use cases and products in internal technology labs, through partnerships with Blockchain service providers, and rolling them out to the market. Emerging markets, particularly in Asia, are seeing some of the biggest growth with financial hubs such as Singapore, Kuala Lumpur, and Hong Kong racing to adopt and commercialize blockchain-backed solutions. In addition to companies, regulators in these fintech hubs have been working with industry to adopt robust yet progressive regulatory “sandboxes” and incubation schemes that include tax incentives and government and industry backing. By contrast, the investment by governments and aid agencies is more cautious and slow. Among the stumbling blocks for governments are the need to weigh the costs and levers of controls, against the gains to be made in transparency and efficiencies in moving assets, records or other transactions to secure, immutable ledgers like Blockchain. This pensive caution may pose longer-term monetization problems for social enterprise innovators such as the Agriledger, EcoBit, and Disberse which are innovating around more uncertain revenue streams connected to public goods such as identification, agricultural supply chains, climate change financing, and aid disbursements and may be challenged by political unwillingness and state capacity to understand and manage new innovation. Like other development organizations, DAI is actively watching this space, and on some projects like the USAID Ukraine Financial Sector Transformation Project, beginning to discuss and advise regulators on blockchain-related developments, sharing some of the international experience. Financial sector regulators, in particular, need to be thinking about the balance between supporting innovation and growth of fintech and minimizing the risks to longer-term financial sector stability. As the Ukraine work rolls out, I’ll write about how it’s going. Till then, let me know where you stand in the blockchain splash park on Twitter via @DAIGlobal.